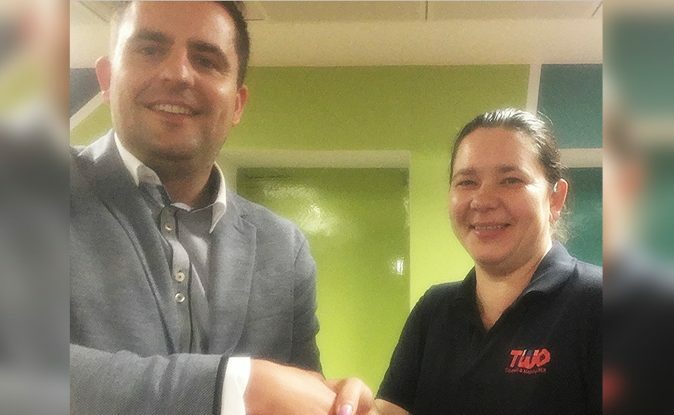 Congratulations to one of our cleaners, Katarzyna Wenta, who is our latest Star of TWO recipient. She was awarded £100 and thanked for her contributions to our team. Katarzyna has been working for TWO for more than 10 years and always goes the extra mile. She is part of our daily cleaning team and her role includes the cleaning of a number of offices. Katarzyna speaks to our clients to make sure they’re happy with the service we’re providing. And we get good comments from clients as a result of her hard work and focus on client interaction. Thank you for 10 years of service. Well deserved Katarzyna!